Like I’ve said before, I’m slightly obsessed with keeping healthy food in my apartment. If I have junk food around, I will most definitely eat it. All of it. To prevent a ridiculous amount of potato chip consumption, I’m at the point where I keep a nutrient stocked pantry/fridge most of the time. It’s pretty cool to be able to cook a variety of dishes on any given night by throwing together ingredients that I already have in the fridge. 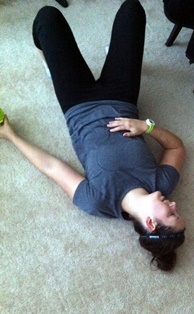 Before I started eating clean, that never would have happened. 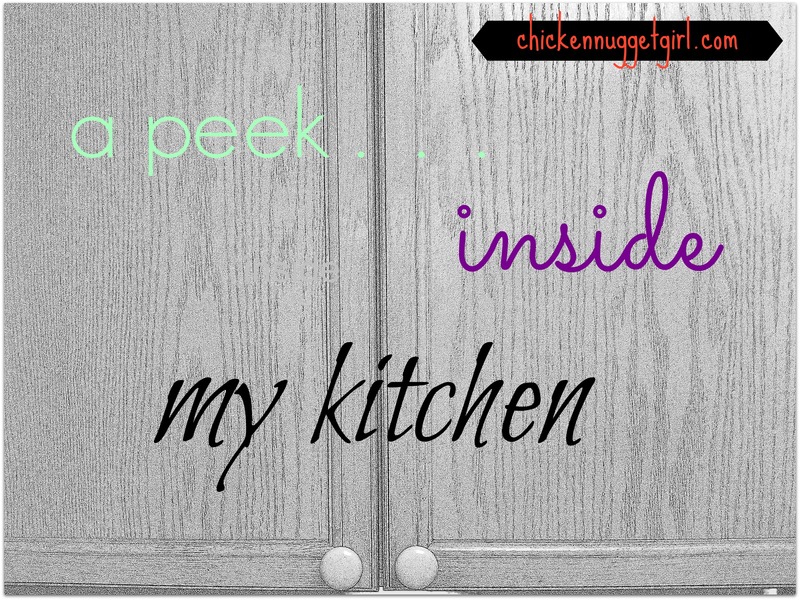 To give you more of an idea of what my normal food sitch looks like, I thought it could be fun to take a peek inside my kitchen. 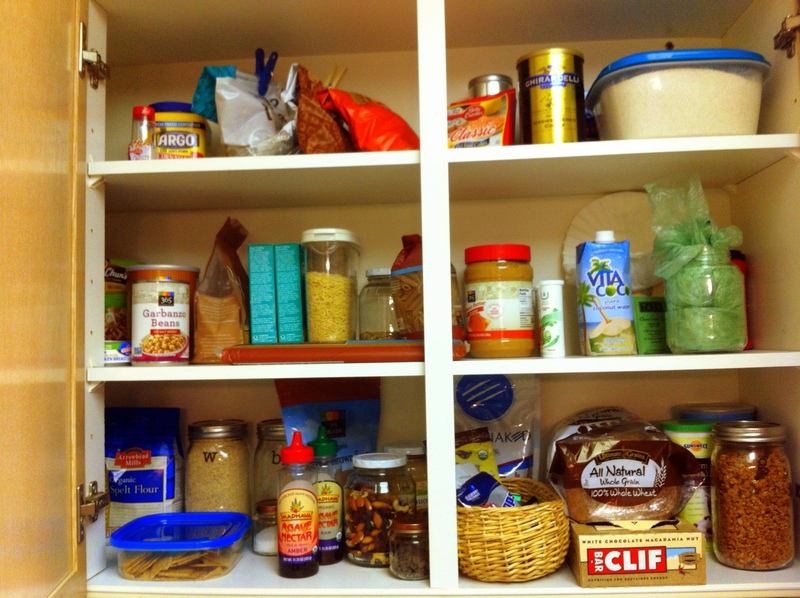 Let me just say that in no way do I think I am a pantry expert. 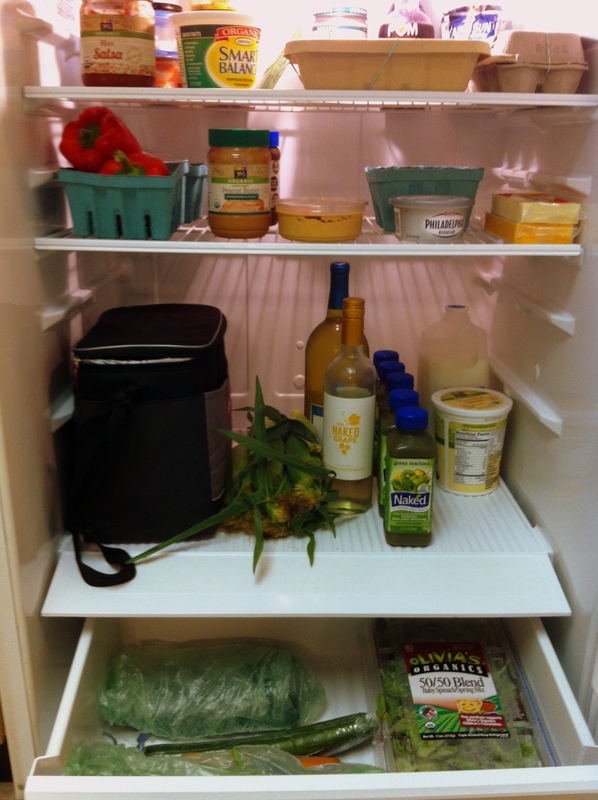 Hell, I’m still figuring out which veggies need to be refrigerated and which ones don’t. 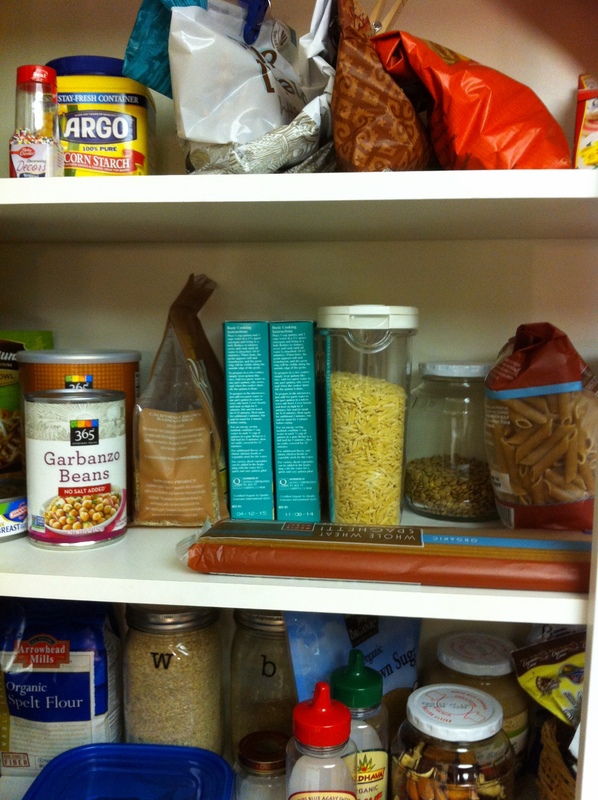 But I have come up with a few tricks that make my food storage space more appealing to me! I like to keep everything where it’s easily visible. Otherwise, I’ll totally forget what I have and end up wasting or buying double of things I already have in stock. 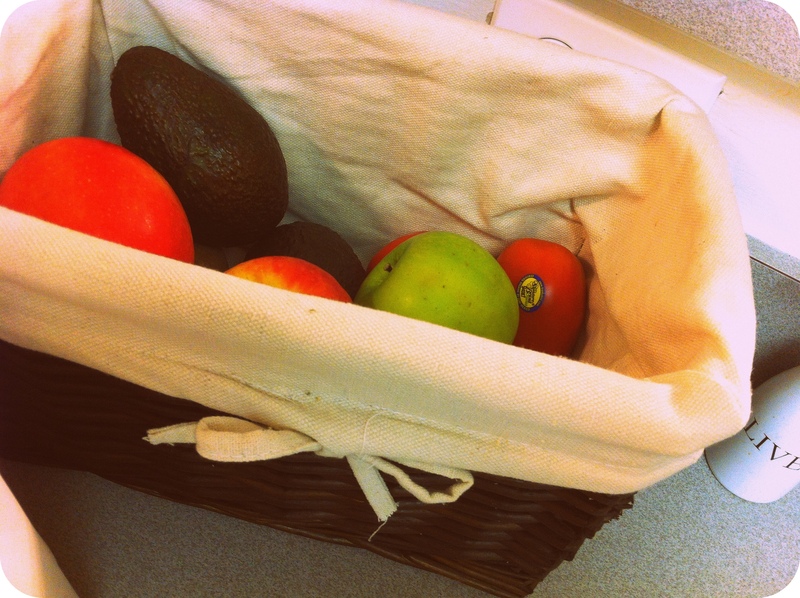 Every time I buy fresh produce from the farmer’s market or the grocery store, I keep the little green bins it comes in. Not only are they cute, but they also help me keep everything organized. Yup, you are seeing my lunchbox in there. I pack my lunch the night before I eat it, and keep it all packed up so in the morning I can literally just grab it and go. 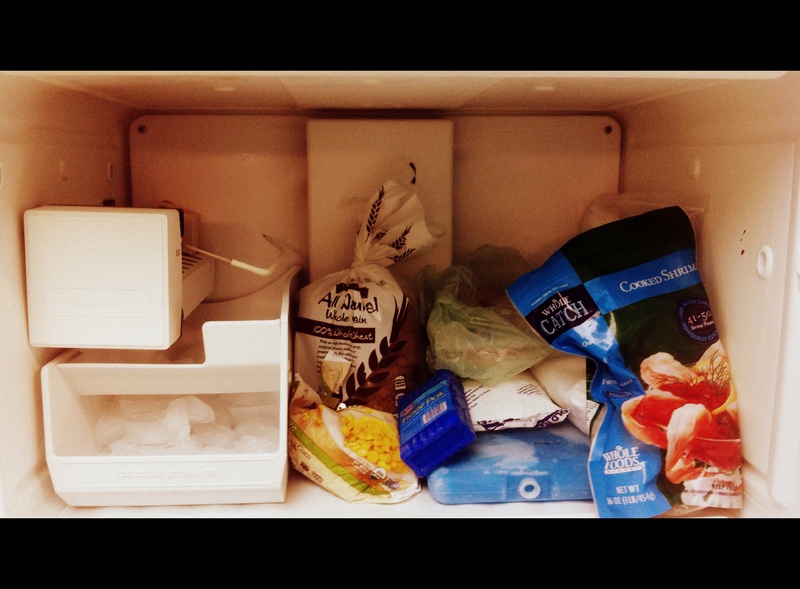 My freezer isn’t as full as I’d like it to be. I plan to start making more leftovers to freeze for future meals when I get the chance to experiment with my crock-pot a little more. Frozen fruit = necessary for smoothies. When I first started making smoothies, I mostly used fresh fruit until my mom was horrified and told me to buy FROZEN fruit. 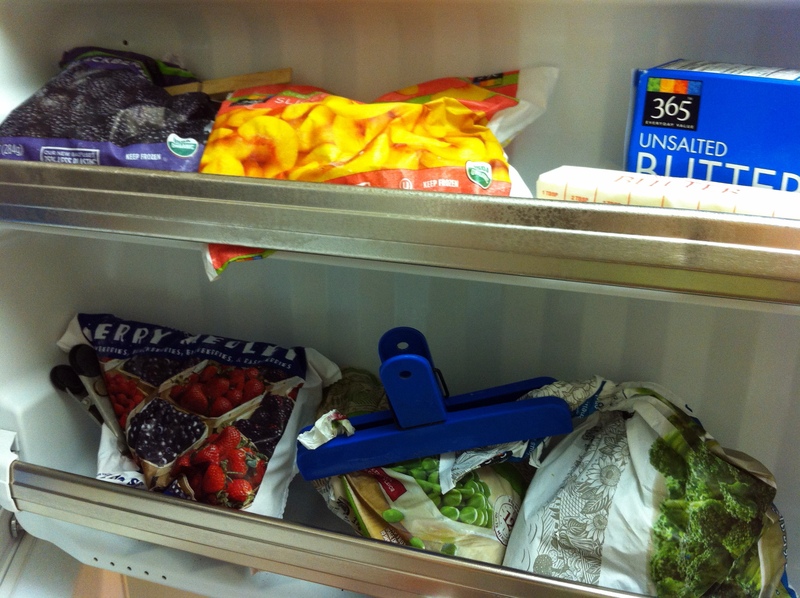 The $$ saving factor of frozen fruit is absurd. Glass jars. 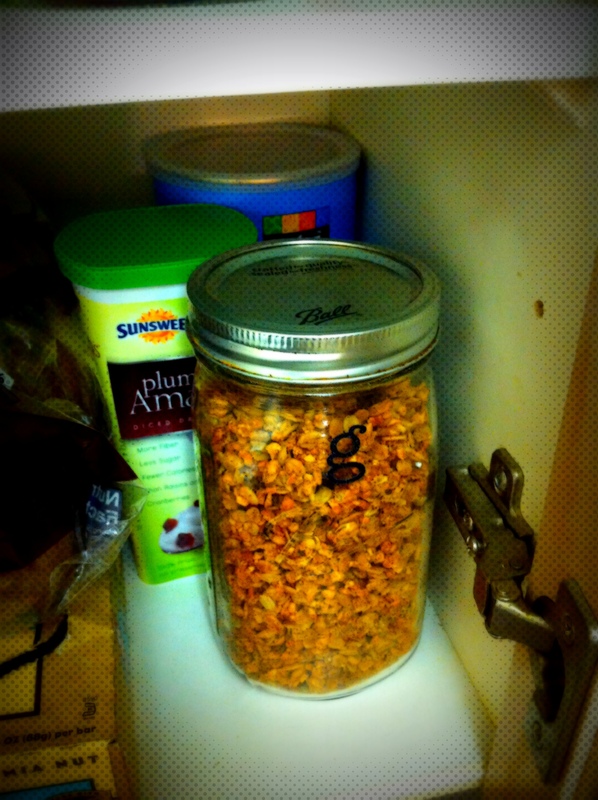 Not only are they pretty, it’s healthier to store your food in glass containers (vs. plastic). It’s fun to decorate/label them too – I got the idea from our very own Peas and Crayons! 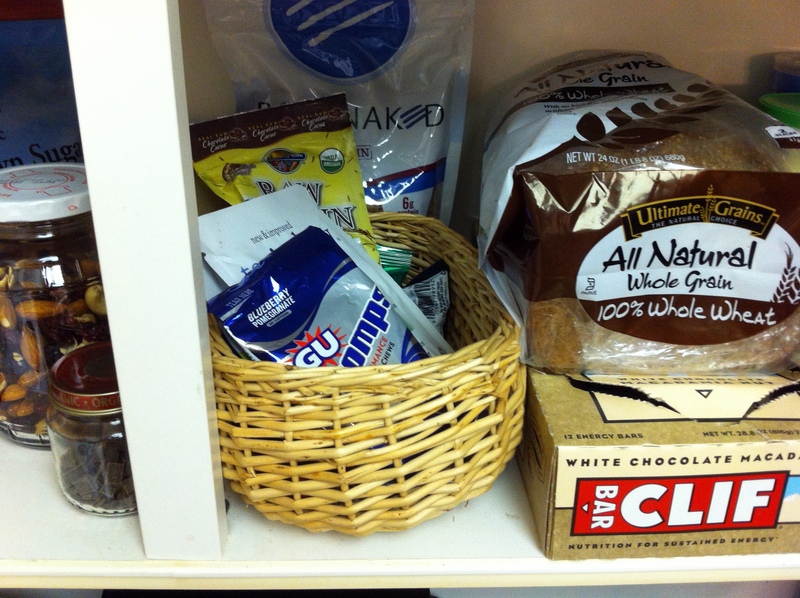 Using baskets, etc to group individual items. I’m experimenting with different samples of protein powder right now, plus I still have some GU hanging around for when I start half marathon training again. I finally broke down and have been buying the boxes of Clif Bars because it is cheaper than buying them individually! 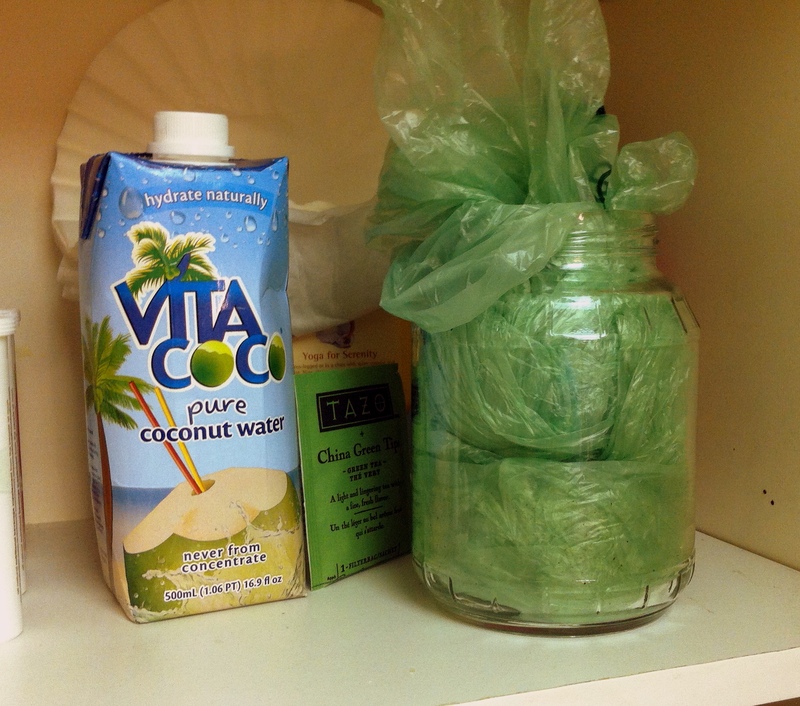 Leftover produce bags are the perfect size for my juicer’s pulp canister. That way, when I’m juicing, I can just pull out the bag and plop it in the trash without having to clean the pulp out of the bin. I am so TOTALLY impressed! 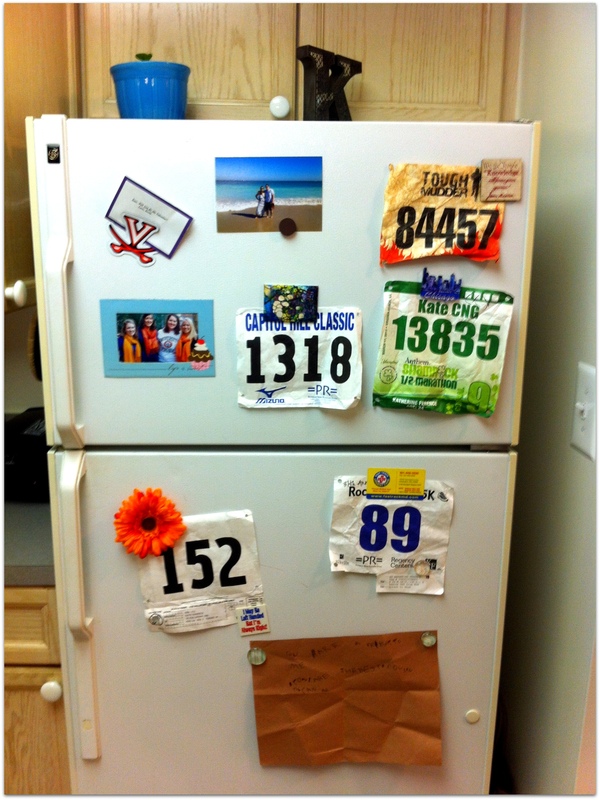 Now you need to help me clean out my frig/freezer!